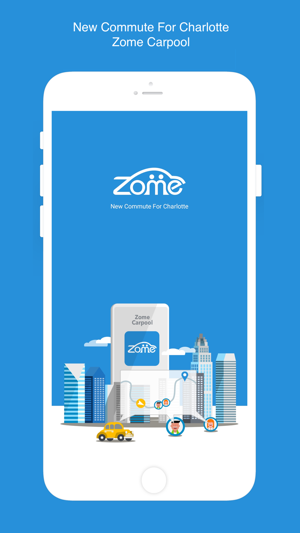 Zome helps people commute easily and efficiently. Still driving to work alone? Tired of traffic jams? Did you know that carpooling is a better way to commute? 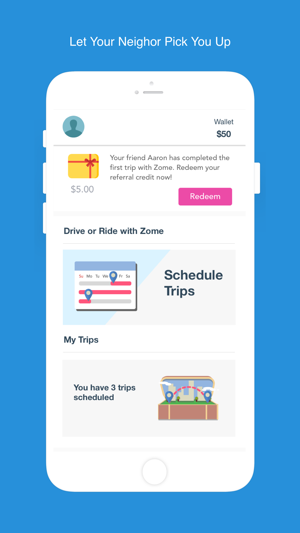 Zome helps find your best-matched carpooler to minimize the commute cost for both riders and drivers! 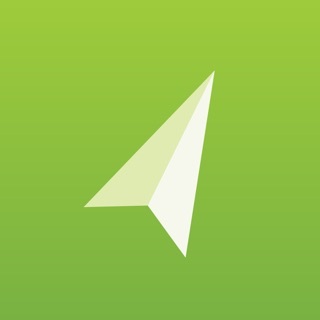 -Safety: Zome matches your neighbors and coworkers. 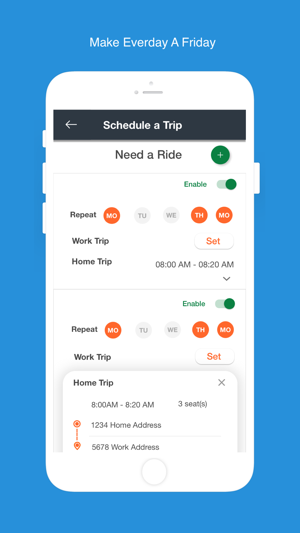 -Flexibility: In just a few taps, your ride can be scheduled. 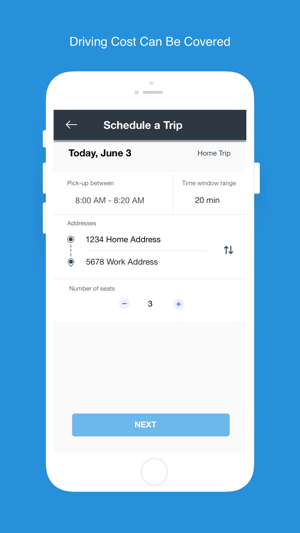 Riders and drivers can get matched anytime during the day. -Fun Drive: No more boring drive. Take a nap, read a newspaper, or chat with your carpooler. Make your commute fun and gain a new sense of community. -Cost-effective: Carpooling splits the commute cost. You can simply schedule a ride by selecting your pick-up location, departure time, and return time. Zome will send a message to tell you the match result. Once matched, confirm the trip. We will send both the driver and the rider the time and location for the pick-up. We match users every hour. 3. SHOW UP ON TIME! Meet at the prescribed location for pick-up. Then enjoy your ride! Every time I schedule a ride, it’ll schedule it 3 hours earlier. You need to fix this, I’m a college student without a car and this app would’ve been my best option. Fix this now.